1) Family: Cats belong to "Felidae" family. Dogs belong to "Canidae" family. 4) Behavior: Cats are solitary animals. They are self-suffcient. If you leave your cat alone, it will be happy. They don't need your attention all the time. Dogs are very social animals. They need your attention. You can left them alone all the day if necessary, but generally they need more attention throughout the day. 6) Grooming: Less frequent- no baths Not frequently for short-haired dogs. Very frequent, if they have long hairs. 7) Space Needed: Cats can live in small environment, like small flats in urban areas. Dogs prefer to live in open area but some breeds can also live in small apartments. 8) Affection: Cats are very affectionate towards owner sometimes.But generally, they are very independent and lonely animals. Dogs are very affectionate and faithfull animal if taken care properly. 9) Protection: Cats are not so protective for its owners. Dogs are protective for its owners. 10) Energy: Cats are generally lazy. They can sleep for hours. (14-16 hours a day) Generally dogs are very active and alert. 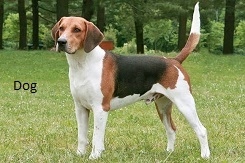 The activeness, alertness and strength depend on breed. 11) Daily routine: Cats are lazy animals but some cats like walks. Dogs are very active so they need exercise and daily walk. 12) Training: If you train your cat daily, it is possible to train her to use a litter box. Dogs are also quick learner. By regular and daily training, they can do tricks and follow your command like come / sit etc. 13) Way to drink liquid: Cats use a balance of gravity and inertia to get every last drop they get into their mouths. They know how to use the tip of the tongue to pull water upward and close their jaws exactly before gravity return the liquid into the pot. Dogs also drink water with their tongue but they scoop the liquid into their mouth. 14) Physical appearance: Cats are small. An adult cat has 30 teeths. Dogs are generally bigger than cats. (Size can vary breed to breed.) An adult dog has 42 teeths. 15) Stamina: Cats can creep up on their prey by running it down. They are sprinter but not a long-distance runner. Dogs can catch their prey by running it down. They are long-distance runner, but not sprinter. 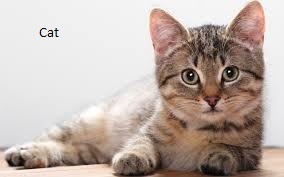 16) Memory Capacity: A cat's memory is more efficient than a dog. It can remember upto 16 hours. A dog's memory is less efficient. It can remember a thing only upto 5 minutes. Cats and Dogs both are the most popular domestic pets in the world but there are a lot of differences between them. If you leave your pet cat alone, it will be happy whereas dogs need your attention all the time. The other differences can be categorized as their behavior, physical traits, and their metabolism. Cats are more independent and less demanding pets. They are generally cheaper than dogs. On the other hand dogs are loyal and obedient but require more attention and exercise. Although cats and dogs both are used as pet animals, but you should choose your pet according to your need, leisure time you have to spend with them, your house structure, eating habits etc. Dogs need more time than cats. Dogs are more expensive than cats. Dogs eat more than cats. They also need more affection and time. Dogs are more energetic and alert but cats are more playful. Dogs have a short life-span than a cat. So you can feel sad and cheated when your beloved dog leave you forever.